University Archives serves as the chief historical resource for materials about the University, its people, programs, and culture. 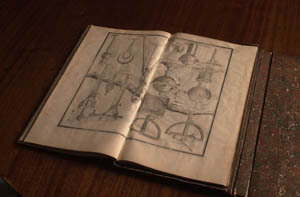 Special Collections contains rare books, works of art, manuscripts, and other valuable materials. University Archives is located on the third floor of the McDonald Library, room 309, and Special Collections is located in room 310 on the 3rd floor of the McDonald Library. Descriptions of some of the archival resources in University Archives can be found the in Library's catalog. To browse the catalogued material, do an advanced search for keyword phrase "Xavier University" and limit the location to "Archives." The descriptions are also available through the OhioLINK Finding Aid Repository, which contains descriptions of archival collections from contributing institutions in Ohio. To search for materials from Xavier University, select the advanced search feature on the homepage and then limit your search by contributing institution to Xavier University Archives and Special Collections. Access to the materials in University Archives and Special Collections is by appointment only. All materials are non-circulating. Contact the University Archivist to set up an appointment. Selected collections have been digitized and are available in Exhibit. See the Digital Collections page for more information and a complete list of collections accessible in digitized format.